Goodreads Description: Brandon Sanderson, fantasy’s newest master tale spinner, author of the acclaimed debut Elantris, dares to turn a genre on its head by asking a simple question: What if the hero of prophecy fails? What kind of world results when the Dark Lord is in charge? The answer will be found in the Mistborn Trilogy, a saga of surprises and magical martial-arts action that begins in Mistborn. 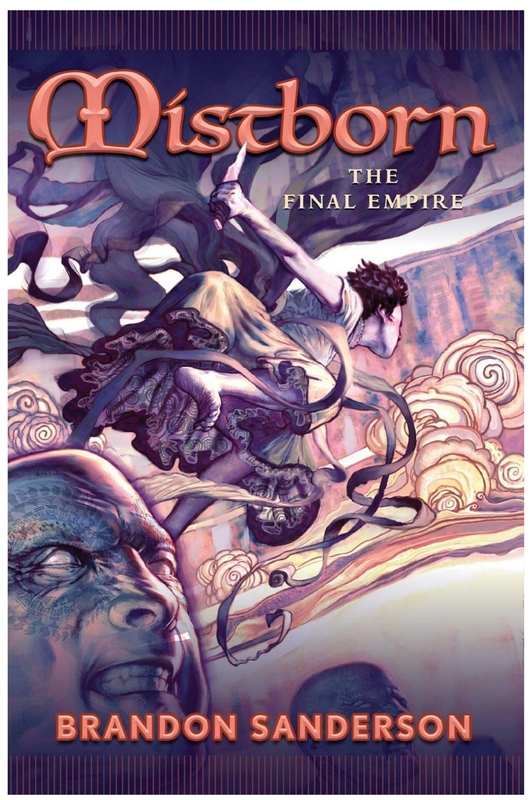 My Thoughts: I have been wanting to start another science fiction novel after the Name of the Wind and reviews led me to the Mistborn Trilogy. Boy am I glad they did!!! Brandon Sanderson’s writing is magical, his descriptions made me feel as if I was living in this world, and the way he exposed the reader to the magic system was not just dumping info, we were able to see how it works. It had me on the edge of my seat, made me mad, I awwwed during certain parts, cheered, and cried. I’ve already purchased the last 2 books in the series, if they are half as good as the 1st I will love them. I gave this book 5 out 5 stars and I would recommend to anyone who enjoys science fiction and even dystopian. Have any of you read this series? Happy Reading Ya’ll!!!! !